Most buyers believe that hybrid cars are not sporty at all and therefore they are usually confused when they are buying hybrid cars. Technology today has improved. Therefore many car manufacturers now come up with hybrid cars that offer sporty performance. 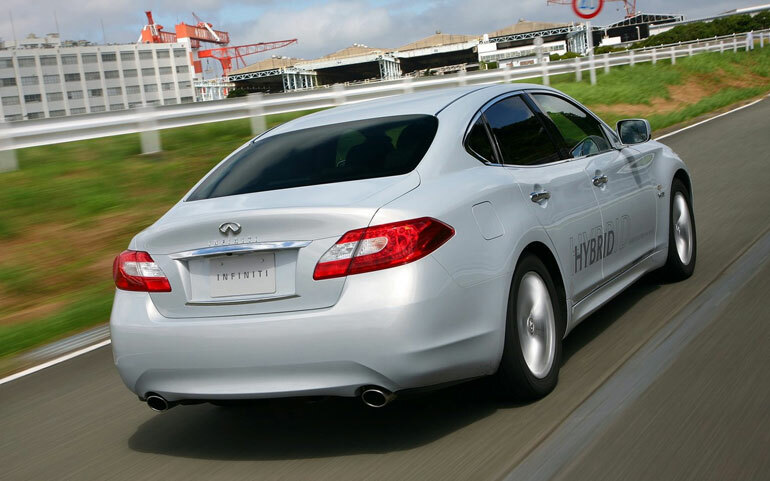 Infiniti has now come up with 2013 Infiniti M35h which gets a hybrid powertrain. But it is nothing less than sporty and luxury at the same time. 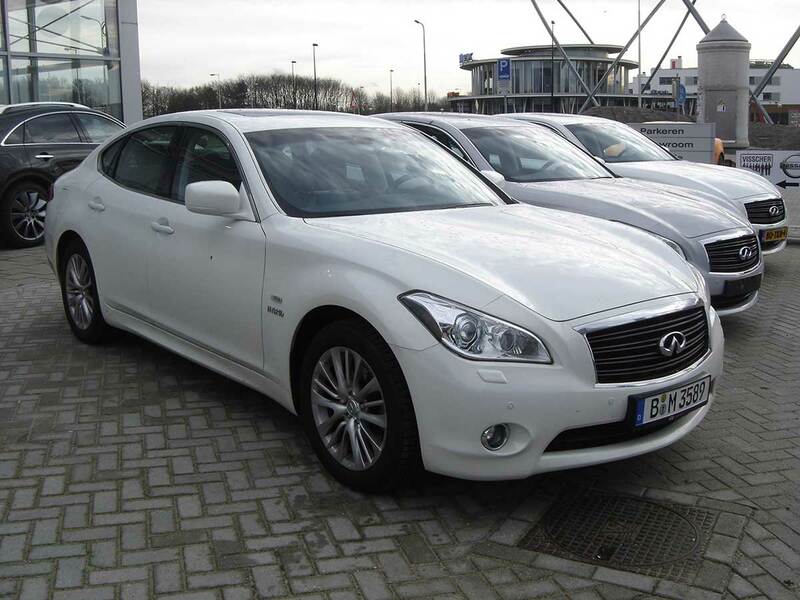 2013 Infiniti M35h combines the features that offer better performance and appearance all in one package. 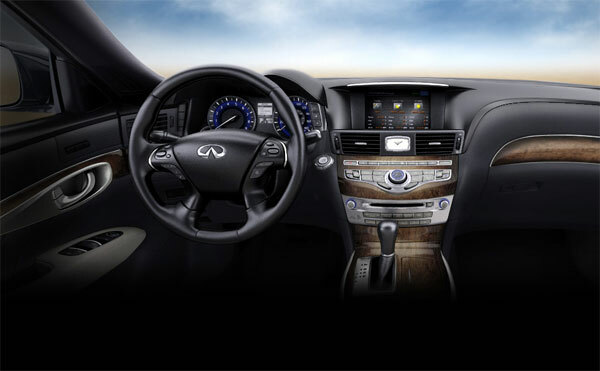 Let’s take a quick look at the top features of the vehicle in the 2013 Infiniti M35h review below. Infiniti has made sure that they offer better exterior styling features to the new 2013 M35h. Therefore this luxury sedan gets the better aerodynamic shape that adds to the fuel economy of the vehicles. The sedan also incorporates 18-inch alloy wheels, automatic bi-xenon headlights, fog lights, power folding heated and auto-dimming mirrors. Moreover, includes automatic wipers, sunroof, power soft closing trunk lid, and chrome accents. The front fascia gets a wider chrome grille with the Infiniti logo right in the center. The headlights are sculpted well into the front side with a black lower grille with wider air intakes that deflect air. Since this is a luxury sedan Infiniti has ensured that the buyers get an excellent cabin experience that also offers high-quality materials. The car cabin is very quiet and offers a smooth driving experience. There are enough headroom and leg space available for the passengers to ensure that they are comfortable. The seats offer better lateral support for long drives. Infiniti has offered an optional Deluxe Touring package. Where users can get diamond-quilted leather seats with contrasting piping. And unique silver-powdered wood trim, and enhanced quality materials. The technology package also allows users to add better navigation and audio interfaces. It offers more luxury options to buyers. However, The 2013 Infiniti M35h fails when it comes to cargo space. It offers only 11.3 cubic feet of cargo space which is not enough. Under the hood, 2013 Infiniti M35h is powered by a hybrid powertrain and gets a 3.5-liter V6 four-cylinder engine that is combined with the electric motor. The engine combined with the electric motor produces 360 horsepower. The car accelerates zero to 60 mph in 5.2 seconds which is an impressive acceleration performance. The car also offers superior fuel economy of 27 mpg in the city. And 32 mpg on the highway and 29 mpg combined. 2013 Infiniti M35h gets all standard safety features like ABS, traction control, stability control, and front side airbags. Moreover, side curtain airbags, active head restraints, a rearview camera, and better seatbelts. Infiniti has also provided Technology package for the buyers that offer lane departure warning and prevention system, blind spot warning system and forward collision warning system with Intelligent Brake Assist. This luxury sedan manages to score five-star ratings for overall ratings in government crash testing. 2013 Infiniti M35h is priced at $54,750 in the market. Infiniti has come up with a competitive luxury sedan that can offer so much to the users. The car offers better exterior styling, superior cabin experience, and better fuel economy as well. However, the price rate is something that will go against the car. It is not ideal for travelers that need bigger cargo space. As it will have good market competition with the 2013 Mercedes Benz E-Class, 2013 Audi A6, and 2013 BMW 5 Series. However, users that want a better sports sedan will still go for the 2013 Infiniti M35h.